Meet the Elementals – a magical race that inhabits our world embodying the four elements of earth, air, fire and water. Cecy is a “Twixter,” the half-human offspring of an air elemental, who doesn’t always fit in with the rest of our world. In addition to her magical heritage, Cecy bears another gift, one which will lead her to Brad, a scientist who is studying a very strange phenomenon – one that might signal a far deeper problem and a danger to life as we know it. Together, they stumble upon a mystery that affects them both, and discover that playing it safe means nothing when love and desire are in the air. We are four days away from publication! 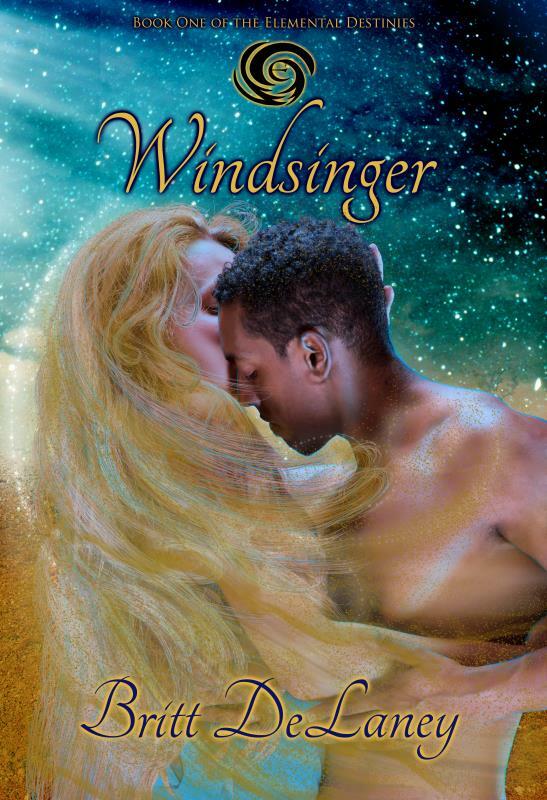 Windsinger is one of my most intricate stories yet – full of intrigue, full of laughs, full of magic, and (you know me…) full of STEAM!! This story was a joy to write, and the finished product is so much richer and different than I originally dreamed it to be. There were plot twists that surprised even me, and I’m thrilled at how this book kicks off such an epic series, with stakes that are about as high as stakes can be. I’m offering this book in print as well as eBook, so whichever your preference, it’ll be available. Stay tuned to this blog for all the hoopla and another excerpt as we count down to launch!